JBL has been leading the way in portable Bluetooth speakers with their very popular Flip and Charge and the recently introduced Boombox speaker. All have great durability, waterproofing, and extended battery life. Not to mention impressive sound quality for such portable and compact speakers. Last year JBL married their speaker technology with Google Smart Assistant and came up with their LINK voice-activated speaker family. 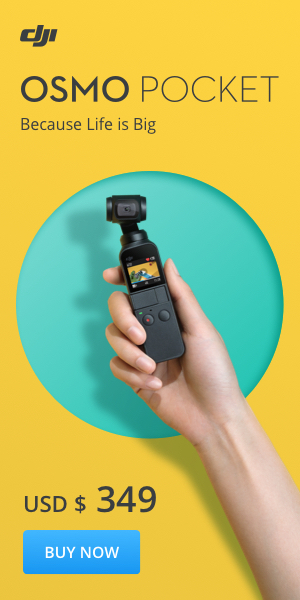 They have a number of sizes available, starting with the LINK 10 and going up to the LINK 500 all can be easily connected wirelessly with multi-room playback. Here is a brief introduction to each member of the family and followed by my full JBL LINK 10 Waterproof Portable Smart Speaker Review. The JBL LINK Speaker is the smallest in the LINK family. Weighing in at 670g or one and a half pounds and having 16 watts output power Portable wireless and waterproof rated IPX7. I will take a full look at the LINK 10 in this review. Price MSRP $149.95 Free Shipping. The JBL LINK 20 is a little bigger than the LINK 10. Weighing in at 950g around 2 Lbs and having 20 watts output power. The speaker also is wireless and waterproof rated IPX7. The JBL 20 gets you a little more volume and a little more bass. Price MSRP $199.95 Free Shipping. The LINK 300 is a shelf speaker with a Google Assistant onboard. This speaker is not wireless and requires an ac plug-in to operate. The LINK 300 is not waterproof like the LINK 10 and 20 and is covered in a rich speaker fabric available in black or white. Compared to its little brothers the LINK 300 has much more volume with 50 watts of output power and has an additional signature JBL transducer on the back to get a noticeable bass that fills the room. Price MSRP $249.95 Free Shipping. The JBL LINK 500 is the latest addition to the JBL LINK family. This speaker is not wireless and requires an ac plug-in to operate. About three times the size of the 300 the LINK 500 weighs in at 3.5 kg and now has 60 watts of power with 4 internal speakers and the signature JBL transducer on the back for a really full punchy sound. See my full review. Price MSRP $399.95 Free Shipping. You may already be familiar with the rugged JBL Flip 4 or Charge 3 and have enjoyed their portability and sound. JBL has taken that same design and sound technology and added Google Assistant for a truly smart speaker. 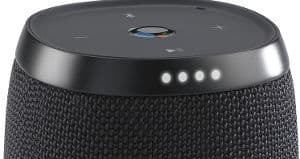 The smallest in the JBL LINK voice activated smart speaker family is the LINK 10 a versatile little portable smart speaker that fits in your hand like a fat beer can. Download the Google Smart app on your iOS or Android device and connect with Bluetooth and play music from your smart device on the LINK 10. 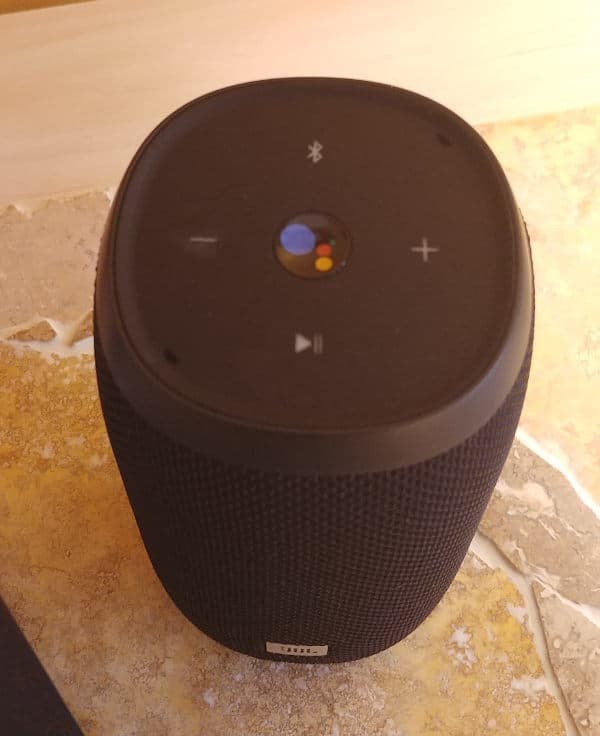 Wifi connected Google smart assistant is now available and you can ask it a number of questions or play music from Spotify or Google Play. 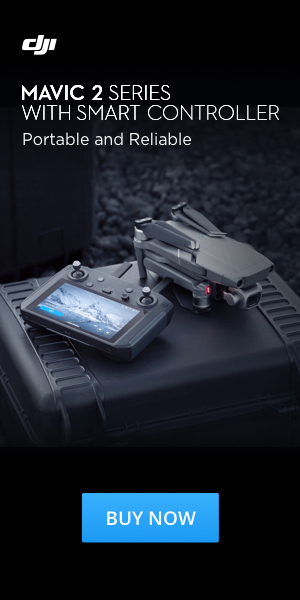 It has a 5 hour battery life and can be easily moved around and set up anywhere. The JBL LINK 10 size and appearance is not unlike the JBL Flip rugged and waterproof. This is a great sounding portable Bluetooth speaker that has the added feature of Google Assistant. The outer covering is the familiar black or white mesh with a rubber base that sits firmly anywhere. Power button is near the top at the back. Above are 5 LED light battery life indicators. Below that is the Mic mute/unmute button. On the bottom back under a rubber flap is one micro usb connector for charging. The center button is the Google Assistant button. Press this button to ask Google Assistant for help. Most times you can operate the LINK 10 hands free but sometime when the music is loud Google does not hear you and you have to press the button to get Google's attention. 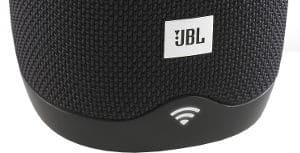 JBL Link 10 has the Google Assistant built-in. It is your own personal assistant, always ready to help. Most times when using Google Assistant you will be operating the LINK 10 by voice commands. It will take a little time for Google to get acquainted with your voice and for you to ask the right phrases. Turn the LINK 10 on for the first time and it will take a minute or so to settle in. It will make a musical tone. Press the top center button or say "Hey Google" and the Google assistant will ask you to download the free Google Home app on another smart device. This will allow you to connect to your Google account and to your home Wi-Fi. A good wifi signal is very important for any smart home assistant to operate properly. You will always know how strong your WiFi signal is by the big Wifi bars located on the bottom of the speaker. It would be nice to be able to turn this feature off or down as the lights are quite bright and in a bedroom could be a problem for some light-sensitive people. You can use a little black electrical tape to cover it if it's an issue. When you first download the Google Assistant App you will go through a section where Google asks you to repeat a few phases to learn your voice. If you don't ask Google properly you may not get the result you wanted. Things that Google Assistant can help you with. Chromecast lets you instantly stream your favorite music, radio, or podcasts from your mobile device to the LINK 10. Easily set up your system and control multi-room playback with the Google Home app. A step by step guide allows you to quickly start streaming your music. If you have a few LINK speakers you can take advantage of the multi-room functionality. It took me a little while to figure out how to get both speakers working together. I was asking Google incorrectly. Easily connect and wirelessly stream your favorite music from your smartphone or tablet. With a built-in 4000 mAh rechargeable Li-ion battery that gets up to 5 hours of playtime. If played at top volume you most likely will get less playtime. Charge time takes about two hours. A USB cable is provided for charging but a wall adapter is not. A wall adapter is included with JBL LINK 20. Take the JBK LINK 10 out to the back yard or beach. Take it in the shower or beside the sink No worries if it gets wet or left in the rain. It can be fully submerged in water IPX7 rating. Built with durable fabric material and rugged rubber housing allows you to go anywhere without worries. 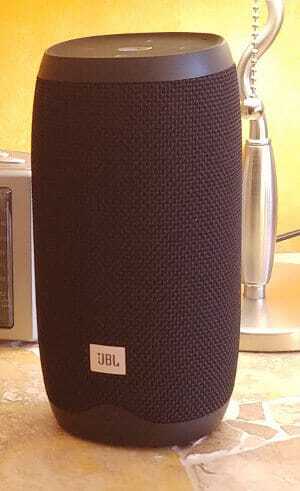 Unlike its cousins the Flip and Charge that come in a number of colors the JBL LINK 10 only comes in black or white. I imagine if there is a demand they will start adding more color options in the future. The overall sound quality of the LINK 10 is really quite good compared to other speakers this size. It does give you a fair amount of volume but is lacking in bass as would be expected from speaker this size. The highs are crisp and the vocals stand out. At top volume the highs and mid sounds get a little muddled and harsh and take over the bass. The volume below 70 or 80 percent seems to be the sweet spot. It reduces the high end and lets the base come through. Bass on the JBL LINK 10 is more than expected on a unit this small. The bass has a nice little punch but can get lost at top volume. If you want a little more bass go for the LINK 20 for $50 more and still have a portable waterproof speaker or for $100 more the LINK 300 with JBL's signature passive radiator really brings up the bass but is not waterproof or as portable and it needs to always be plugged into work. The mids are typical JBL Signature sound profile. Vocals are out front and guitars ring out very clearly. At full volume with some songs the mids can get a little muddled with the high end frequencies. The high end on the JBL LINK 10 gets a little too bright at full volume back the volume off and it no longer is much of an issue. Much more updates and applications coming ever-day. The JBL LINK 10 and LINK 20 are the only smart speaker in this class that are truly wireless unlike the Amazon Echo and the Google Home that need to be plugged in all the time to operate. I think the wireless portability is nice but for this kind of device it needs to be powered on and connected to wifi all the time for it to operate best. I found the LINK 10 at times is quite temperamental and takes awhile for the assistant to settle in after powering up. Sometimes it takes as much as several minutes. Finally when Google settles in and you say "Hey Google where have you been" she will coyly reply "I'm right here, always ready"
Provided with the LINK 10 is a bright orange USB cable. I like the cable color with my other JBL devices because it is easy to spot the right cable, but with the JBL LINK 10 it would be nice if it was just plain black to better blend in with a homes decor. A wall adapter is not provided with the LINK 10 which is a bit of a disappointment. I think a better idea would be a little docking pad with a black cord for the LINK 10 to sit on for most of the day. 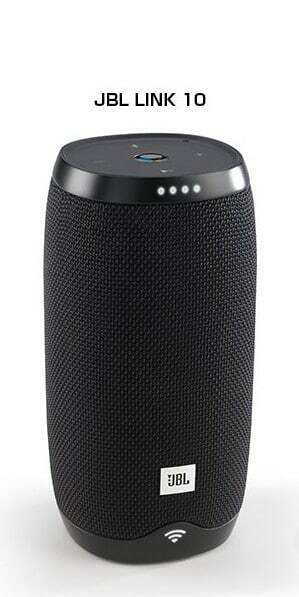 You can then pick it up and use it wirelessly when you want a portable speaker. This way it will remain on and at the ready for voice instructions. Google Assistant is not as compatible with as many smart home devices and appliances as the Alexa Assistant platform at the moment but Google is constantly upgrading and is catching up everyday. If you don't need the portability and are more concerned about sound then go for the LINK 300 or the new LINK 500 and add the LINK 10 later as a second unit if you decide you would like a portable unit for around the house. You buy the big speaker and the kids can get you a smaller one for xmas. Do you need to pay money for subscriptions to make Google Assistant work? No, all you need is a good Wi-Fi signal. You can subscribe and pay for Google Play Music or Spotify and get more select and functions but the free account is pretty good. You cannot select a particular artist or song but it will play a station with that artist. If you like more random music it's a great way to go. For music from the 50s, Frank Sinatra, heavy metal or any other artist or genre, just ask. I have heard a number of random songs in the last few weeks of testing that I haven't heard in years. 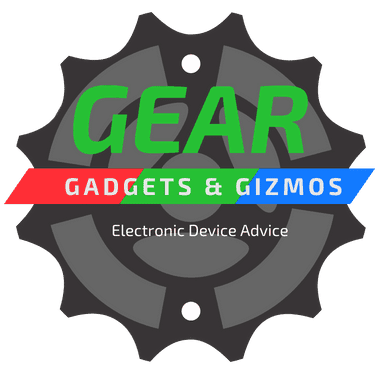 If you are interested in having a smart assistant wherever you go. I think that the JBL LINK 10 is a great sounding little speaker, its sound and durability are not unlike their popular Flip but with the added feature of a smart assistant. The 5 hour playtime is lower than its cousins but having Google Assistant on board makes up for that. 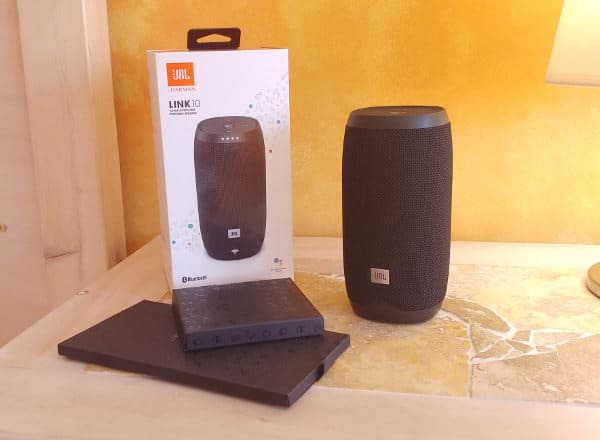 The LINK 10 is a great place to start a smart home speaker system; it can complement the less portable LINK 300 or LINK 500 with its multi-room function. What I like to do is have the LINK 500 playing very loud in one room and have the LINK 10 with me in the other room. Having the LINK 10 in the room makes the music louder and crisper and the low end comes from the LINK 500 in the other room. I also can control the speaker group from anywhere in the house with the LINK 10. 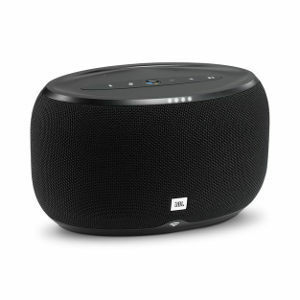 The LINK 10 is not available on Amazon at the moment but you can buy directly from JBL.com for $149.95 with free shipping. I did see they had reduced the price down to $100 in December and January and I believe towards spring they will do it again. So keep an eye out.